Wyndham Bonnet Creek Resort in Orlando, Florida Near Disney - Buy a 7 Night Stay in a 2 Bedroom Suite that Sleeps up to 8 Guests! Taxes & Service Charges Included! 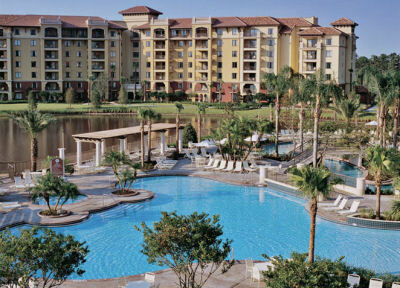 Enjoy 7 Nights in a 2 Bedroom Suite at Wyndham Bonnet Creek Resort in Lake Buena Vista near Orlando, Florida! 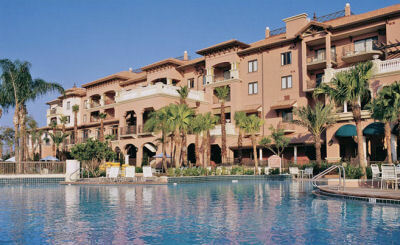 The best for your Central Florida theme park vacation is Wyndham Bonnet Creek Resort near sunny Orlando, Florida. Less than one mile from Epcot® at the Walt Disney World ® Resort in Lake Buena Vista. With our on-site Disney Planning Center, plan the details of your trip stress-free with expert Disney insider tips. 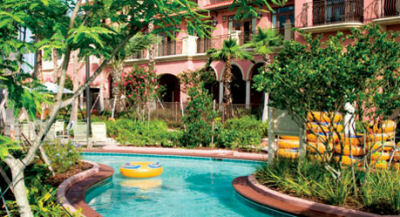 A spectacular Wyndham Vacation Resorts property, Wyndham Bonnet Creek Resort is an entertainment complex complete with five outdoor pools, nine hot tubs, and a refreshing Lazy River. Exquisite dining options, a miniature golf course, and our family activities program offer an extravaganza of amenities. 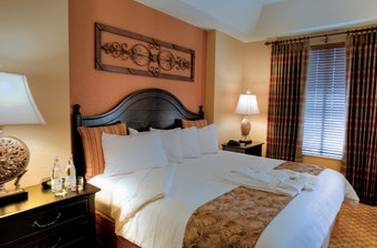 Our luxury suites are furnished in modern comfort, offer relaxing whirlpool tubs, and offer impressive views of the lakefront or poolside. Our spacious two bedroom condos sleep up to eight guests. You'll enjoy a master bedroom suite with a King bed and a whirlpool tub. Two double beds in the second bedroom and a queen sleeper sofa in the living area. 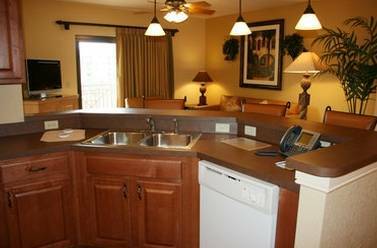 The suite also has a full kitchen, washer/ dryer and balcony. Maximum occupancy is 8. - Maximum occupancy is 8. Shuttle To Walt Disney World ® Resort: Effective March 1, 2013 each guest at Wyndham Bonnet Creek utilizing the transportation shuttle to a Disney theme park or Downtown Disney will need a ticket to board the bus. Tickets will be sold at the resort for $8 per person per round trip for any Wyndham Bonnet Creek guest wanting to use this service. Children three years of age and under will be complimentary. Lazy River will be closed from December 28, 2018 to January 27, 2019 . Closed for emergency repairs. Dates subject to change.